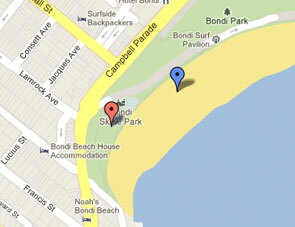 We train on the beach (blue marker) opposite Hall St, corner of Campbell Pde. Walk near the skate park down the ramp and you’ll find us on the left hand side. On occasion training may take place on the park (red marker) on the right hand side of the skate park. If you can’t find us on the beach, you’ll find us here. Always bring your runners just in case. 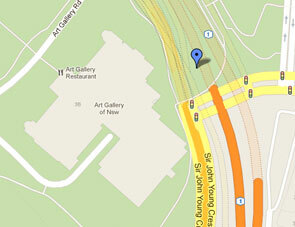 We train in the park next to the Art Gallery. Facing the Art Gallery, walk towards the end of the park on the left hand side of the Art Gallery and you’ll find Team One Fitness. We train on the beach between the northern end of the beach and the middle of the beach. 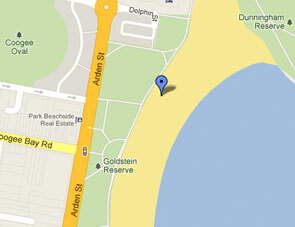 Walk from the car park (Dolphin St) towards the beach, walk down the small white stairs and you’ll find Team One Fitness.